Small businesses are facing a massive shift driven by technology. To stay competitive they are turning to technology and the Internet to manage cash flow, increase productivity and streamline operations. And the small business market is primed to accelerate its adoption as newly developed apps are helping small business owners save time, reduce costs, increase revenue and productivity, and work more effectively. With traditional banks slow to respond, non-banking technology providers have obliged with innovative, intuitive solutions that integrate payments, receivables, and online banking data and offer reporting and cash flow management. 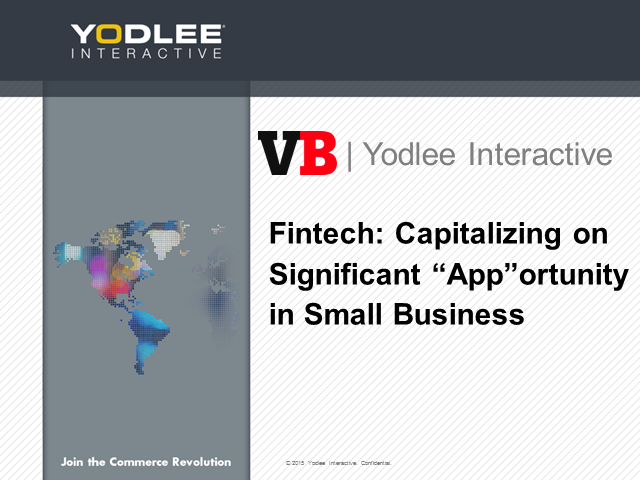 Join Yodlee Interactive and a panel of experts for an animated roundtable discussion on how the development and start-up community can capitalize on the transformation occurring in the small business sector.